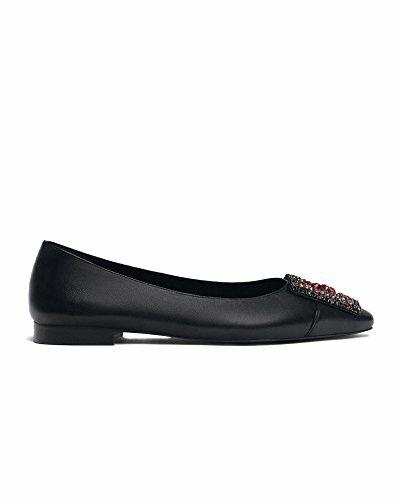 Black ballerinas made of sheepskin leather. Their unique design features the slogan LOVE written in small encrusted diamonds on the vamp. Extra soft model for greater comfort when slipping them on. Lining and soles in caprine leather. Insoles with silver embossed logo.